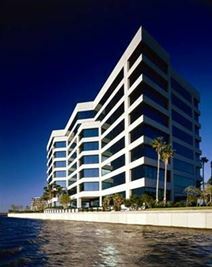 With exceptionally good links to Tampa International Airport and a range of further convenient transport services running throughout the immediate area, this professional business center location provides a good mix of cutting-edge technological facilities and equipment and a significant degree of elegance and corporate prestige. The center itself is close to a variety of amenities including Busch Gardens Tampa and a golf and country club. Small office space excellent for starter-ups offering up to date technology and a number of services to help your business succeed. 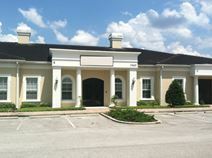 Conveniently located off I-75 offering easy access to major cities. 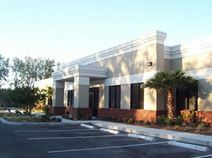 In the heart of the popular and locally significant Tampa Palms area, this exceptionally provided and contemporary business center and exquisite working environment is found with easy access to the I-75. Prospective tenants can find this prestigious office address that provides Class A office suites ideal for people starting a new business or adjusting current office space requirements, as well as benefiting from excellent transport connections throughout the region. This extensively serviced and luxuriously fitted corporate building is home to one of the region's most significant and prestigious office suite providers; offering prospective occupants and professionals of any industry or commercial background with a number of state of the art facilities and corporate services that create the ideal working environment for any client. Fully equipped and easily accessible, this center is perfect for any business requirement. 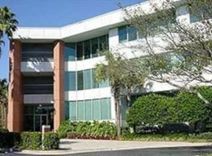 Located just down the road from University of South Florida and just minutes’ away from Theme Parks , our class A office offers a variety of fully furnished offices within a tranquil work setting with everything you need to run your business. Office suites in well known corporate park with beautifully decorated lobby offering large conference rooms and suites with separate layouts. Workstations for travelling executives available with generous parking and convenient on-site café. Located directly off I-75. 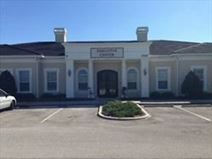 This exceptional business center is located in the most important business area in Tampa Highland Oaks just minutes’ away from Major Highways, shops, and bistros. Our fully furnished offices were created with your needs in mind; our offices equipped with the latest telecom technology and are move in ready. 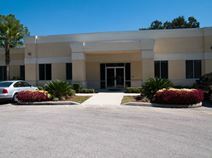 The park is conveniently located in the I-75 corridor of Tampa's suburban office submarket in Hillsborough County. This co-working office space is easily accessible by public transport near N Armenia Avenue. Tenants can choose from membership options that suit them and their business while a pool table and community events help you to network. Modern boutique style centre is equipped with cutting edge technologies, elegant and roomy boardrooms, and serene break room. We are conveniently located just minutes’ away from major highways and Tampa International Airport, come by our qualified and pleasant staff members are here to help your business move forward. This premium standard and exquisitely furnished business center is a state of the art and technologically sophisticated corporate installation set within one of the region's most exclusive, commercially significant and widely renowned business districts. Offering all prospective tenants with a wide range of excellent services and facilities including meeting rooms, internet, conferencing and more; this is the ideal working environment for any professional. Business suites in prominent corporate area with many services available for all your business needs. 24/7 access, meeting rooms, exercise room and professional staff. Within minutes’ from airport, downtown and major expressways. Coming furnished or unfurnished, this Class-A office space comes with the flexibility to make it your own. With a business professional design, this space offers unique high-end suites that are unmatched. Included in the large list of amenities, this location comes with a serene natural setting right outside of your doorstep. This center provides easy access to local restaurants, hotels and the entire Tampa Bay region. Executive suites set in an attractive setting with top of the line services to meet your business needs. Large meeting rooms with state of the art equipment, full professional staff and stylish reception area. Convention centre and Tampa Bay Stadium located just minutes’ away. Enviably situated in an imposing and notable 22-story structure in Tampas commercial center, this corporate space enjoys great views and is ideal for new ventures. It benefits from easy access to local conveniences and is easily accessible by road. Make the first impression your business needs with our executive offices we are located in the exclusive SoHo district, just seconds away from chic bistros, luxury lodging, and celebrated shopping in Downtown Tampa. Our centre offers state of the art technology with a professional environment; we will make a big impact with your clients. You don’t have to make a big impact on your budget. Our center is minutes’ away from major highways and offers a variety of options for restaurants, supermarkets and activities. 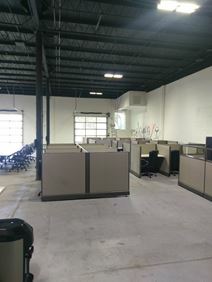 This location offers a unique combination of fully furnished offices as well as storage space when needed. This new center has an elegantly adorned break room and spacious offices. 24 hour access makes this center available whenever there is a need to get work done. Meeting rooms are also available. Situated in one of Tampas principal commercial districts, this business center provides first-rate offices accommodating up to 3 people as well as on-site parking and local amenities. This space comes will all inclusive pricing packages to ensure that you will not have to pay for additional services after the lease is signed. This center offers clients with both serviced offices and coworking desks. Premium amenities ensure that your company will be provided with all of the necessary tools needed for success. This center is located near many different restaurants and offers access to local train stations. Make a statement with this ultra stylish business centre offering full state of the art equipment and technology. Meeting rooms, training rooms and workstations available. Located within the TIA vicinity offering easy access to restaurants, shops and other businesses. A wonderfully adorned Class A office with cutting edge telecom and everything you need to keep your business growing. 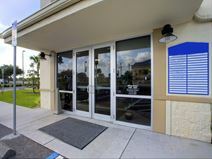 We are located just a few minutes’ away from Tampa International airport and just a short drive from downtown.